Chicago, IL – September 4, 2018 – Cobra Electronics, the leading designer and marketer of award-winning automotive, mobile and consumer electronics, today announced its partnership with Bright Pink®. In conjunction with this partnership, the new 29 LTD Bright Pink CB radio is now available at TravelCenters of America and Petro Stopping Centers with a portion of the sale of each radio going to Bright Pink. 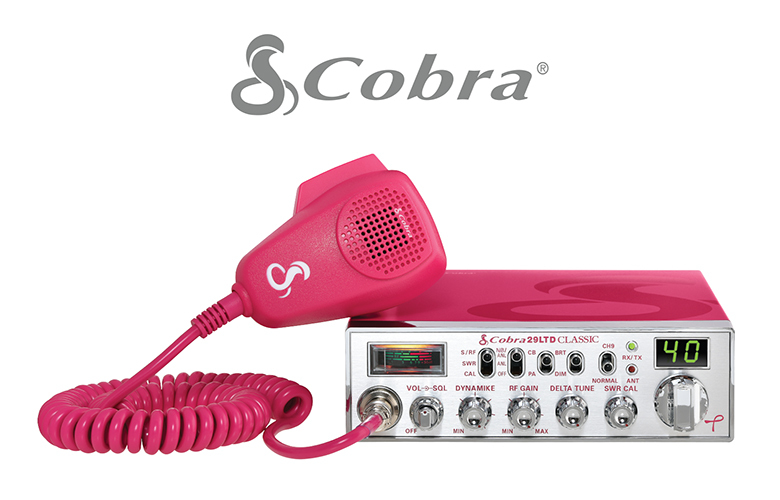 This limited-edition radio is based on the Cobra 29 LTD classic with a special Bright Pink paint scheme and microphone.